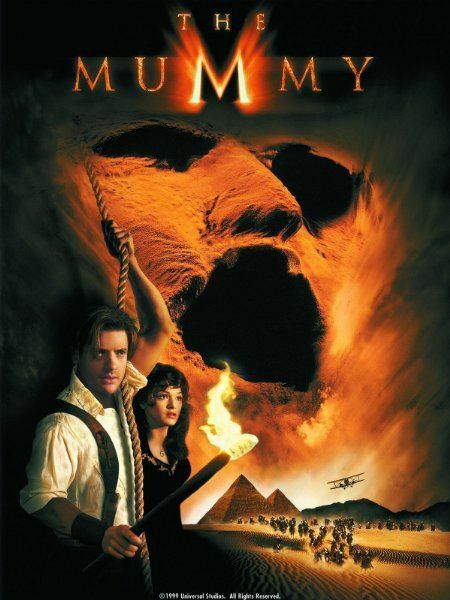 A short post about the first two Brendan Fraser ‘The Mummy’ movies. So my amazing wife and I have spent the last two nights watching the first two Brendas Fraser movies (we miiiiight watch the 3rd with Jet Li or the first Scorpion King, don’t know). Why? Cause why not. They’re good. Well, the first one is. ‘The Mummy Returns’ is a mess…and a frustrating one, cause you can see there was a good movie IN there, but the final product isn’t good at all, but I’ll get to that in a moment. So there’s A LOT to like about the first ‘The Mummy’ movie. The special effects are solid, there’s a charm to its silliness, it’s story is straightforward and enjoyable. The best part about it though is its performances. Racheal Weisz is excellent as Evelyn, Oded Fehr is great in his supporting role as Ardeth Bay (the main Magi) – and dude could narrate anything, you could listen to that voice all day. But the best part of this flick is hands down Brendan Fraser. He is so solid and watchable in this, by the end I was sitting there thinking “I want more of these movies (well, if they can be as good as this one) and a Brendan Fraser comeback. He’s so believable as his character and adds so much humor that he makes the Jonathan character (whose only there for comic relief) entirely superfluous. He’s funny in the right moments and is believable as a lead. I hope dude has a chance to make a comeback. And that brings us to ‘The Mummy Returns’, which as I alluded to earlier is not good…which is frustrating, cause you can see how it could have been. The main problem with the flick is how unnecessarily convoluted it is. In this one, we find out Evelyn is the reincarnation of the Pharoh from the first movie (because…reasons), and we also find out that Rick is, in fact, a Magi as well (again…because reasons). These plots were entirely unnecessary and inconsequential – you could pull them out of the movie, and the characters could still do the things they do. Evelyn beating Anck-Su-Namun? Doesn’t need to be a reincarnation. Rick beating the Scorpion King with the spear? Doesn’t need to be a Magi. It was just adding all this unnecessary backstory that pulled me out of the flick – because you’re wondering just what the heck it has to do with what the characters are doing now. The special effects suffered in this as well. In the first Mummy, there wasn’t a huge amount of special effects. In this, there was, and I don’t know if they were going over budget or something – but the effects weren’t as good here. Imhotep looked worse in this one. The Scorpion King at the end looked awful. Kudo’s for the army of Anubis though. One of the things that made the first one so enjoyable was it was relatively small (location wise) and straightforward, whereas this one suffered because it was ‘let’s hop all over the place’. The pacing was awful too. It felt like this movie didn’t know what it wanted to be. That’s not to say it’s all awful, there is some good. If you can sit through all of its faults, there is something to enjoy. The chemistry between the main cast is there again, and it’s great (except with their bratty kid, he had chemistry with no one) and fun to see. Rachel Weisz and Ardeth “exposition machine” Bay are again great in their respective roles, and it was cool to see the changes in their characters from the first film (needless backstories aside). The best part about this flick though? Again, hands down, Brendan Fraser. Dude is just so watchable as this character and got to show some more range this time around (he has some great (albeit brief) emotional scenes). I just wish this flick toned down on the ‘spectacle’ and focused more on the characters, cause they’re the only things watchable in this flick (again, needlessly convoluted backstories aside). Also, the Rock is fun to watch in the beginning. But let’s be honest, when isn’t the Rock in a pro column. So if you have an evening to kill sometime soon, get yourself a bag of popcorn and sit back and be ready to be entertained with The Mummy. And then, if you’re a glutton for punishment (or are just curious, but more the former) you can toss on ‘The Mummy Returns’ and get some good, but mostly see what you shouldn’t do when making a sequel. Alright y’all, I’m off to work a 3 to 11. Thank’s for reading, and God bless my friends.